Ha Jin draws on his intimate knowledge of contemporary China to create a novel of unexpected richness and feeling. For more than seventeen years, this devoted and ambitious doctor has been in love with an educated, clever, modern woman, Manna Wu. But back in the traditional world of his home village lives the wife his family chose for him when he was young--a humble and touchingly loyal woman, whom he visits in order to ask, again and again, for a divorce. In a culture in which the ancient ties of tradition and family still hold sway and where adultery discovered by the Party can ruin lives forever, Lin's passionate love is stretched ever more taut by the passing years. Every summer, his compliant wife agrees to a divorce but then backs out. This time, Lin promises, will be different. Waiting won the 1999 National Book Award for Fiction. Lin Kong graduated from the military medical school toward the end of 1963 and came to Muji to work as a doctor. At that time the hospital ran a small nursing school, which offered a sixteen-month program and produced nurses for the army in Manchuria and Inner Mongolia. When Manna Wu enrolled as a student in the fall of 1964, Lin was teaching a course in anatomy. She was an energetic young woman at the time, playing volleyball on the hospital team. Unlike most of her classmates who were recent middle- or high-school graduates, she had already served three years as a telephone operator in a coastal division and was older than most of them. Since over 95 percent of the students in the nursing school were female, many young officers from the units stationed in Muji City would frequent the hospital on weekends. Luminous [and] eloquent. [Waiting] provides a crash course in Chinese society during and since the Cultural Revolution, and a more leisurely but nonetheless compelling exploration of the less exotic terrain that is the human heart. A simple love story that transcends cultural barriers. Convincing and rich in detail, [it is] filled with an earthy poetic grace. Achingly beautiful. Ha Jin depicts the details of social etiquette, of food, of rural family relationships and the complex yet alarmingly primitive fabric of provincial life with that absorbed passion for minutiae characteristic of Dickens and Balzac. [A] suspenseful and bracingly tough-minded love story. Poignantly allegorical. Extraordinary. A remarkably austere love story, suffused with irony and subtlety. Reminiscent of Hemingway in its scope, simplicity and precise language. A vivid bit of storytelling, fluid and earthy, [it is] a graceful human allegory. Waiting has the stripped down simplicity of a fable. It casts a spell that doesn't break once. Jin has the kind of effortless command that most writers can only dream about. 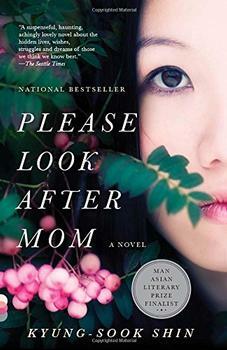 An international sensation and a bestseller that has sold over 1.5 million copies in the author's native Korea, Please Look After Mom is a stunning, deeply moving story of a family's search for their missing mother - and their discovery of the desires, heartaches and secrets they never realized she harbored within. The Geometry of God is a novel one can read greedily, following four characters as their lives unfold against the backdrop of General Zias Pakistan, where religious fundamentalism gains ground and the mujaheddin is funded by gem sales and the Americans.